Guess who’s currently residing on the Peninsula… and no, we’re not talking about Ellen and Portia! It’s Shrek! 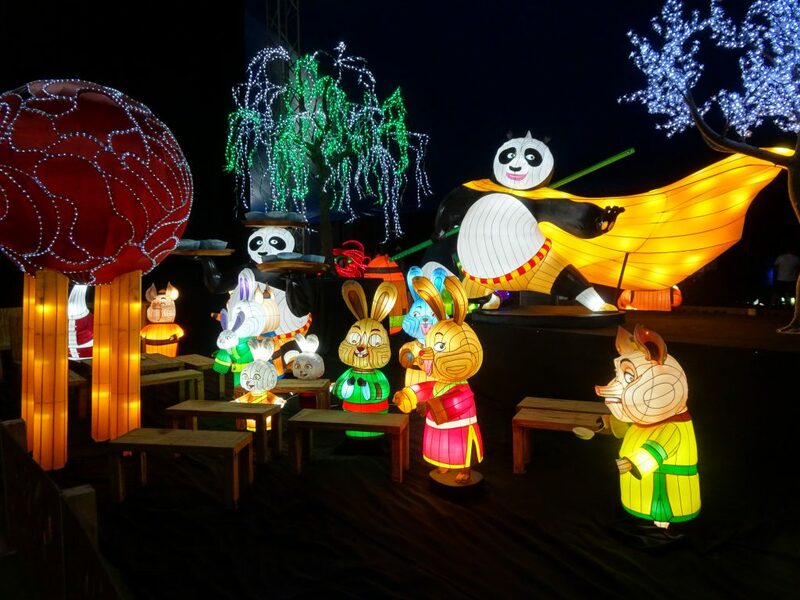 The big green loveable ogre and all of his Dreamworks friends including Kung Fu Panda, Alex the Lion and Toothless the Night Fury Dragon who all make up part of Lights by Dreamworks, the new interactive kids experience happening right now in Rosebud! We took the crew down on Saturday to check it out and it’s safe to say the kids were pretty impressed! On now until 30th April (school holiday to do list – tick! 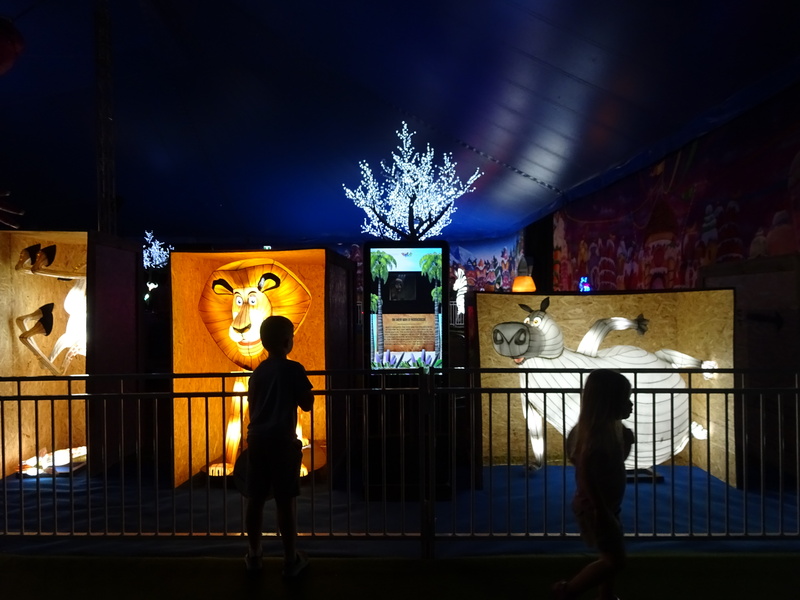 ), Lights by Dreamworks is an Australian-first exhibition situated under two huge circus tents on The Village Green in Rosebud. The kids were immediately chatty and excited as we pulled up into the car park “look Mum! Shrek! 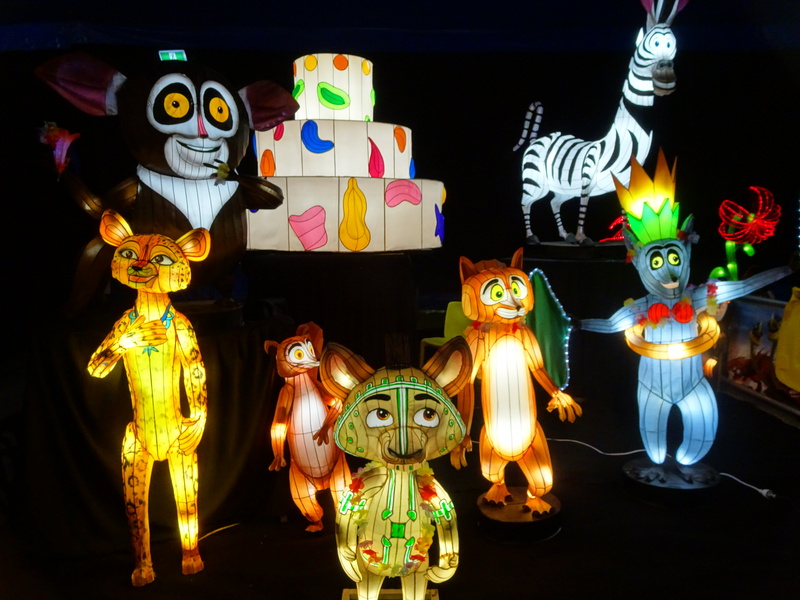 He’s got no teeth!” and it was sensory overload as we entered the tent with loud music playing as we were greeted by amazing light sculptures and lanterns, leading us through to the first section of the exhibition, rides and craft activities. 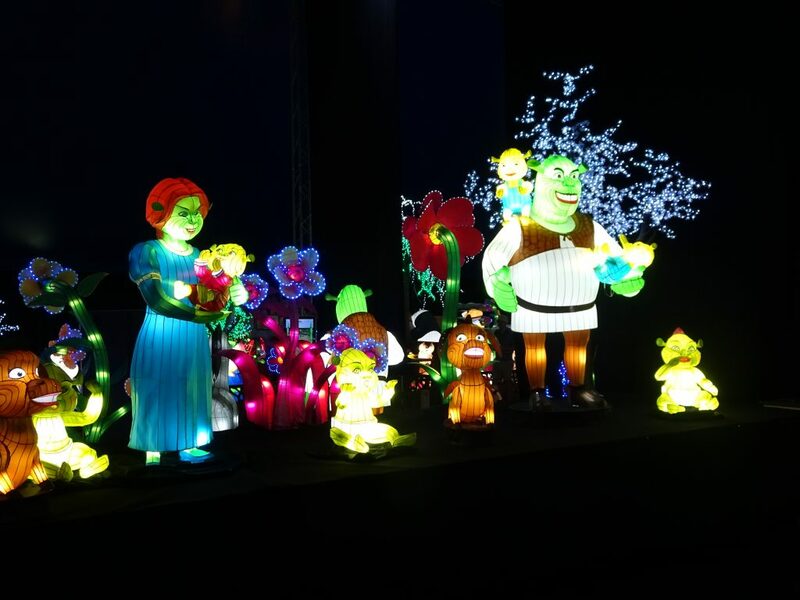 The giant light up sculptures were really impressive with stories from Shrek, Kung Fu Panda, Madagascar and How To Train Your Dragon scattered throughout. Wide paths lead the way (pram and wheel chair friendly) and there was small barriers between you and the sculptures, handy so that the little ones didn’t run among the master pieces! Kids rides were a plenty, teacups, small pirate ship, train and giant slide (a huge saber tooth tiger inflatable!) all included in the ticket price which was great because usually they are extra at these sort of things and I’m one of those horrible mums that always says no! 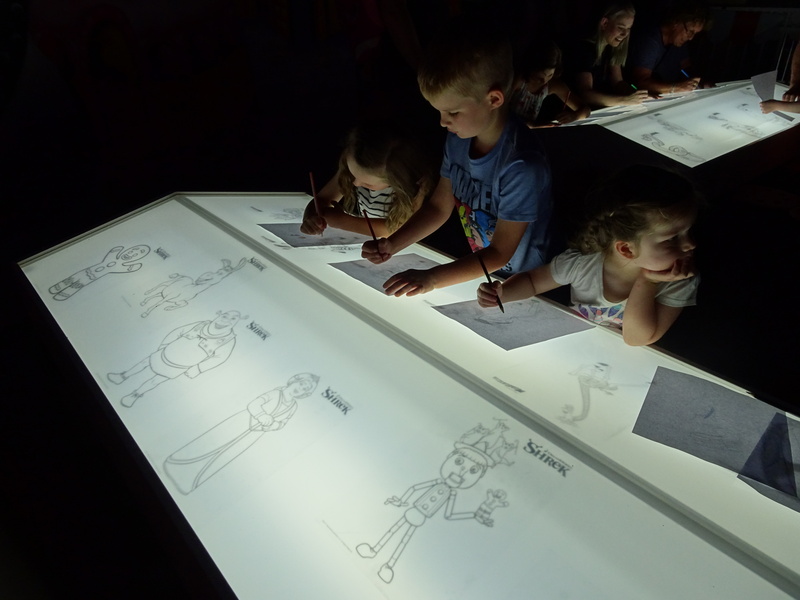 The kids absolutely loved the craft activities too, sketching Dreamworks characters on giant light boxes, How To Train Your Dragon viking shield making and Kung Fu Panda lantern decorating (all good quality items and yours to keep and take home). There was also plenty of opportunities to have your photo taken (for free!) with the many mascot characters roaming about, professional family photos were extra $$ but there really was no need to do this seeming there was a lot of other characters available free of charge and the staff more than happy to take the pic for you. So what did the kids think? Well, our older two Lenny and Annabelle loved the craft making activities and the roaming characters. 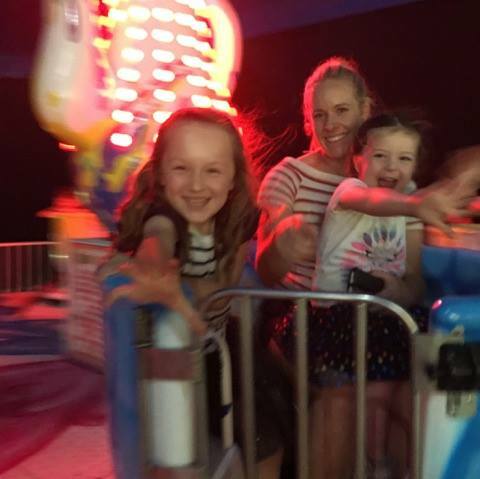 Our younger two, Penny and Stella loved the rides, however, they were scared (hmmm, perhaps somewhat petrified!) of the roaming mascots and had to be carried when ever one appeared. 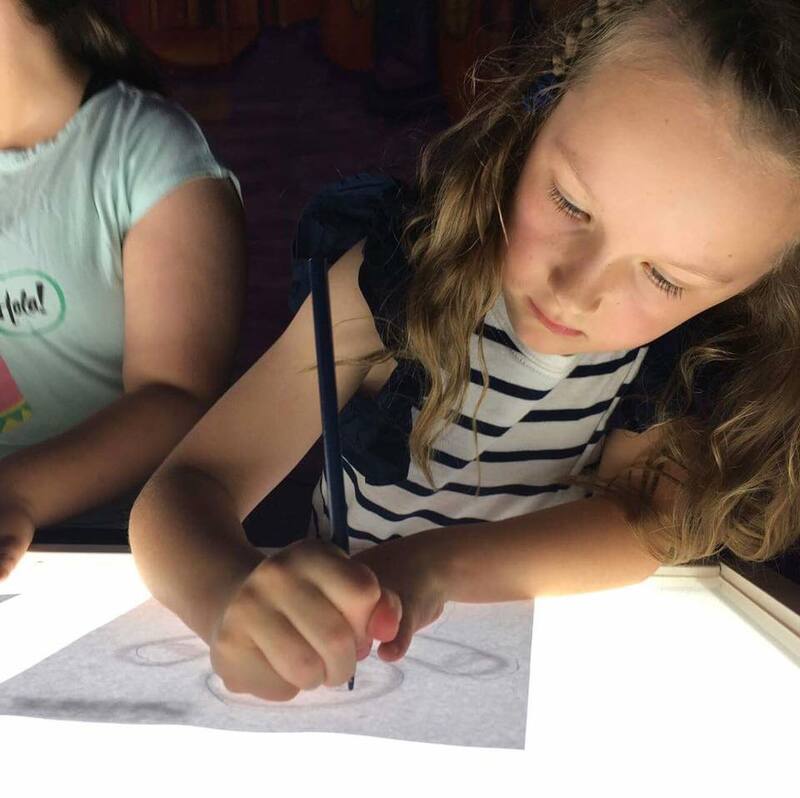 With ticket prices at close to $80 for a family of four (under two’s free), Lights by Dreamworks is definitely a school holiday treat that we recommend if you have small children that will recognize the characters from the films. 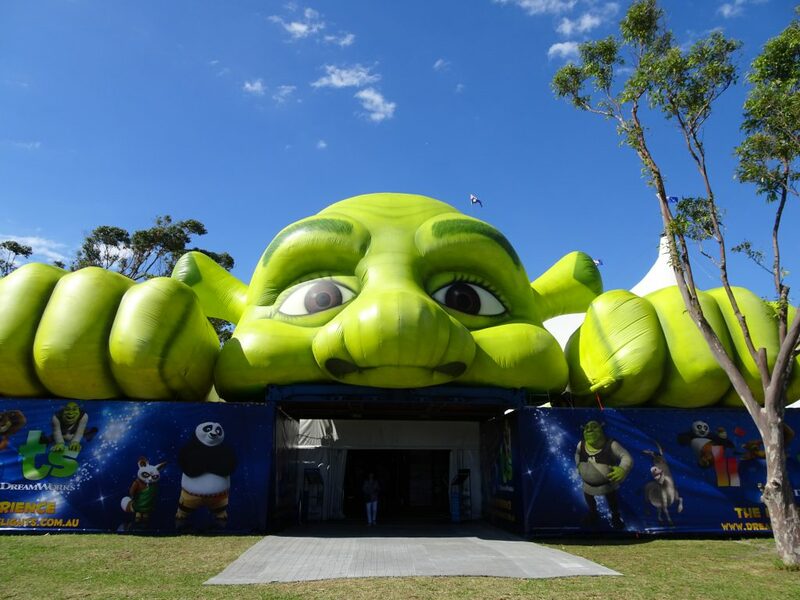 Although the family ticket is for children up to 12 years old, the rides are really designed for the little ones (approx three to seven in our opinion) so although the light sculptures alone are definitely worth seeing, older children may find themselves a little disappointed if they are looking for thrill like carnival rides. Great signage! There is multiple VMS boards along the freeway to help you find your way to The Village Green which is super handy if you’re coming from Melbs and are not too familiar with the area. Lots of free car parking. All inclusive, everything, aside the usual (food & merchandise) is included in your ticket price. Session Times, you have a limited session time once inside (the time allocated though is perfect to see and do everything) and this means plenty of space to push prams plus minimal ques for rides, craft activities and mascot photos. The rides were great for little ones but a little “babyish” if your children are in the older primary school range. It was so hot! Giant fans are the only thing cooling this place down! No air con (which is understandable given the structure) but we went on a scorching hot day and were positively melting by the time we got out! If it’s going to be a hot, book an early morning or late afternoon/evening session. Tickets now available via Ticketmaster or call 1300 307 740.